For millions of Americans, the most wonderful day of the year is December twenty-fifth -- Christmas. For one thing, it marks the end of the most busy time of year. Many people need a rest after weeks of buying gifts, going to parties, organizing travel and getting their homes ready for the holiday. With all this, it is often said that Christmas has lost its meaning as the birthday of Jesus Christ. Some churches in the United States have cancelled Christmas Day services, so people can spend the day with their families. This was even true last year when Christmas came on a Sunday, the traditional day of worship. These churches still offer Christmas Eve services, though. And many Christians still go to church on Christmas Day or the night before. They consider it an important part of celebrating the holiday. Another important part of the Christmas season is music. 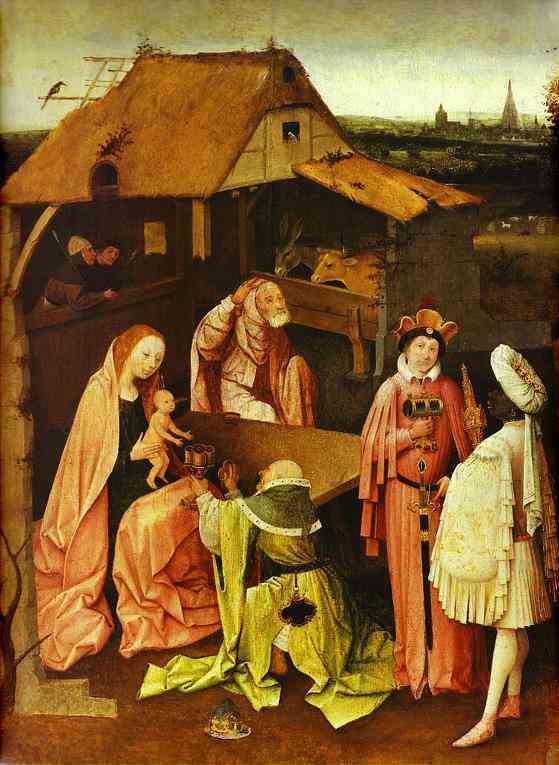 Among traditional carols, one of the most popular is "Silent Night." Most Americans identify themselves as Christian, even if they are not very religious. But the freedom to choose any religion, or no religion at all, is guaranteed by the Constitution. The Constitution separates religion and government. Yet each year brings disputes over holiday observances that some may see as too religious for public schools or other public places. Others say the real problem is too much political correctness; things like saying "Happy Holidays" when people mean "Merry Christmas." They say people should not be so worried about the risk of offending a stranger. But not all Americans celebrate Christmas. And even those who do might not celebrate it as a religious holiday. This is true of Christians as well as non-Christians. Still, they treat it as a special day. And it is hard to think of anyone that Christmas is more special for than children. 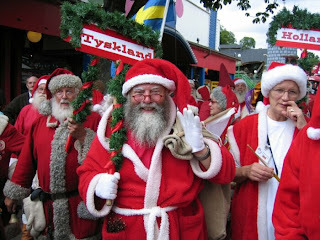 Of course, this has a lot to do with the tradition of a kindly old man with a big belly and a bright red suit. Children know Santa Claus as the one who leaves gifts under the tree on Christmas Eve. But only if they are good little children and go to sleep. Stores crowded with holiday gift buyers may be good for the economy. But some people celebrate Christmas in less material ways. For example, they volunteer to serve meals at shelters for the homeless or visit old people in nursing homes. To them, this is honoring the true spirit of Christmas. Once people bring home a Christmas tree, they may struggle with setting it up so it does not fall over. But then they enjoy decorating it with colorful lights and ornaments. In some families, the tradition is to open gifts on Christmas Eve. In others, though, people wait until Christmas morning to open their presents. A big Christmas dinner is a tradition in many families. And so are special treats like Christmas cookies covered in powdered sugar. Many people travel long distances to be home with their families at Christmas. But not everyone is able to be with loved ones. For some, Christmas can be a lonely time. Most businesses and public places are closed for the holiday. But some restaurants stay open and serve Christmas dinner. A retired man in Washington, D.C., says he enjoys his Christmas dinner at a local restaurant. In fact, he says that after spending several Christmases there, he has become friends with other people who spend their Christmases there, too. Caroling is a Christmas tradition that goes back hundreds of years. Sometimes carolers walk along a street and the group stops at each house to sing a song. Other times they gather in a public place. Carolers may visit places like shopping centers, hospitals and nursing homes. School choruses are often invited to sing songs of the holiday season. And, of course, caroling can be found in churches. Listen as the choir of Trinity Church in Boston sings "Carol of the Bells." December is usually also the time of the ancient Jewish holiday of Hanukkah; this year it began at sundown on December fifteenth. 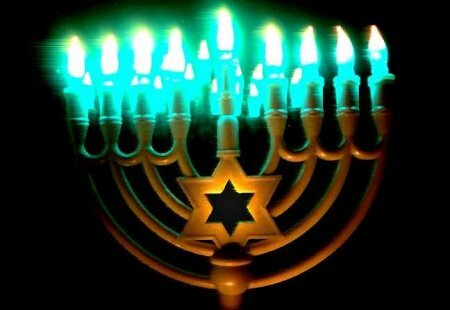 The eight-day Festival of Lights honors the rededication of the Temple in Jerusalem after the Maccabees defeated King Atiochus of Syria. Muslims will celebrate the holiday of Eid al-Adha in January. The Feast of Sacrifice marks the end of the yearly pilgrimage to Mecca. Most black Americans celebrate Christmas. But after Christmas, from December twenty-sixth to January first, many also celebrate Kwanzaa. This African-American holiday honors culture, community and family. The name comes from a Swahili term meaning "first fruits." Kwanzaa started during the nineteen-sixties, an important period in the modern civil rights movement. 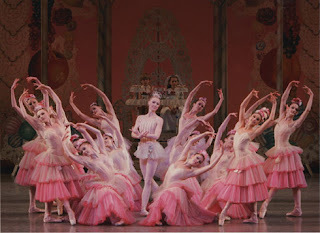 For many children, a favorite Christmas tradition is watching a performance of the ballet "The Nutcracker." The Russian composer Peter Ilich Tchaikovsky wrote the music in eighteen ninety-one. 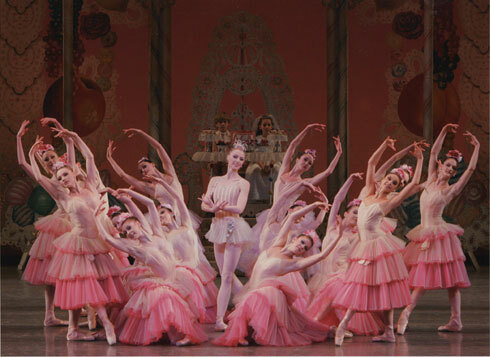 "The Nutcracker" is a story told in dance about a young girl named Clara. Clara is celebrating Christmas with her family and friends. One of her gifts is a wooden nutcracker shaped like a toy soldier. Clara is shown how to put a nut in the mouth to break the shell open with the head. But she dreams that the nutcracker comes to life as a good-looking prince. We leave you with the Philadelphia Orchestra under Eugene Ormandy performing "The Waltz of the Flowers" from "The Nutcracker." Our program was written by Jerilyn Watson and produced by Caty Weaver. I'm Barbara Klein. And I'm Steve Ember. You can find archives of our programs on the Web at voaspecialenglish.com. And we hope you can join us again next week for THIS IS AMERICA in VOA Special English. Correction: This report said Muslims would celebrate Eid al-Adha in January. The holiday, which lasts three or four days, depending on the tradition, began December thirtieth. 1. In "The Nutcracker", Clara dreams that a device used to crack nuts ___________________ . 2. The story of "The Nutcracker" was written by the great German writer, T.E. Hoffmann. The writer of the Ballet was the great Russian composer _____________________ . 3. The end of the yearly pilgrimage to Mecca is celebrated in the Muslim holiday "_____________________" at the end of December and beginning of January. 4. 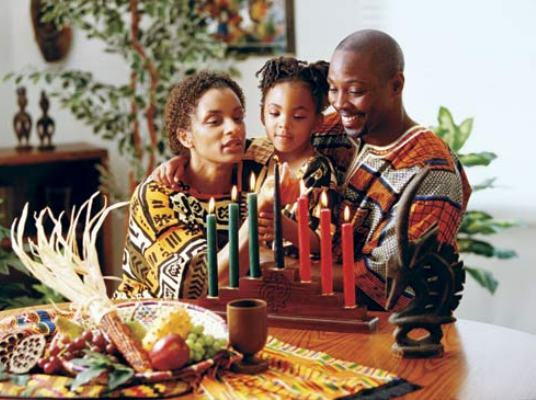 Many African-Americans celebrate Kwanzaa. The name comes from Swahili and it means "________________." 5. On Hanukkah, Jewish people celebrate the rededication of the Temple in Jerusalem with _______________________ . 6. 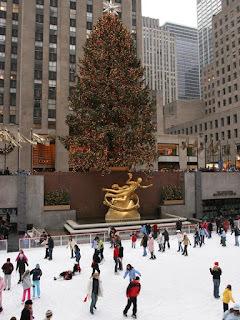 Probably, Christmas is the most special and magical for ___________________ . 7. An example of "Political Correctness" is saying "____________________" instead of "Merry Christmas" in order not to offend a stranger whose religion may not be Christianity. a: Do you believe Jesus is your savior? d: What are you giving me for Christmas? e: Believe on Him and you'll be saved!!! 8. According to the United States Bill of Rights, the people of the United States are guaranteed freedom of ____________________ . 9. In the U.S., Christmas has lost its meaning as the birthday of Jesus Christ because __________________ . 10. During the busiest time of year called "The Holidays", most people ______________. Christmas is not a traditional Chinese holiday. But the brightly-colored lights of the season are attracting a growing number of Chinese fans, who say they like the idea of decorating and giving gifts. 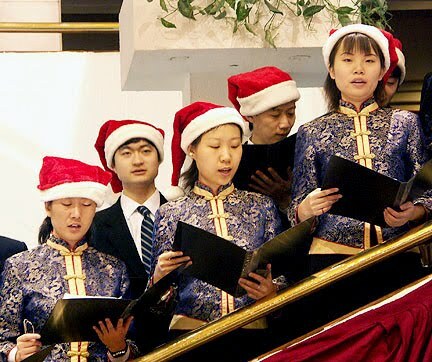 In Beijing, the Christmas holiday is one of many cultural imports interpreted with Chinese characteristics. “I might go eat with friends, and go watch a movie, and then at midnight, I might go to Wangfujing, where they have a church, to get some of the feeling of Christmas,” she said. She's planning to buy presents for her friends, family and teachers. Holiday sales are a draw for 39-year-old department store employee Sunny. She is buying decorations to give her customers the Christmas feeling. “There's that story about Santa Claus' generosity. That's why I think people, from kids to adults, like Christmas because they anticipate gifts,” said Sunny. Vendor Du Yanyan said Chinese New Year is still the most popular holiday in China, but Christmas is gaining. “Chinese families are willing to spend some money on Christmas decorations. Before there wasn't as many, but now, people know that it is Christmas and they say ‘I want to buy a tree or some presents,’” said Du Yanyan. The holiday shopping comes as the Chinese government tries to increase domestic spending to boost the economy. But many shoppers are like Luo Jie, who says she mainly enjoys Christmas’ distinctive look and music. “On the streets, you hear Christmas songs - 'Jingle bells, jingle bells' - it's very fun,” she said.